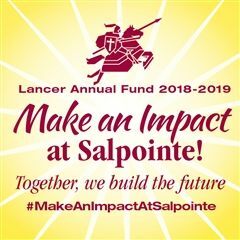 Salpointe Catholic HS | Why Are You Here? What does Lent look like for a Carmelite? Probably the best Lenten image that many of us embrace during this liturgical time is the desert, a place where we can dialogue with God. In the First Book of Kings, the Prophet Elijah finds himself in the desert, reconsidering if he is doing is what God wants him to do. Despite being chosen by God to be a prophet, he still struggles to understand the purpose of his life. God takes the initiative and leads him into the desert to prepare him for the most important conversation of his life. After a journey of 40 days, Elijah arrives at Mount Horeb, the mountain of God. This is one of the most compelling questions God has ever asked somebody: “Why are you here?” Such a question can be enough to turn our Lenten prayer into a life-changing experience. Lent is a time to go into the desert of our lives and to sit quietly in the cave of our hearts. Once there, we are invited into a conversation with the One who has given us life. Carmelites believe that such conversation always leads to a fascinating discovery. In conversation, God listens to our desires while he shares with us His plans; yes, God has big dreams for each one of us! If we hold such conversation deep and long enough, we will discover that our dreams are not other than God’s. They are big, and they are always good! This Lent may be the opportunity for us to embrace such a conversation. Share your plans with God and listen in prayer to what God has planned for you. God will never ask us to do things we do not want to, but he will always invite us to change the course of our lives whenever fear, anxiety and despair make us think our lives are meaningless. Only prayer can reveal to us the answer.